The Brazilian government announced it had upped its stake in partly state-owned oil giant Petrobras on Friday, taking state holdings in the company from 40 to 48%. 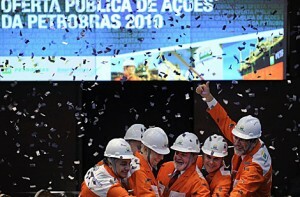 The company’s market value has consequently risen to over US$220 billion, making Petrobras, which is controlled by the government despite the balance of shares belonging to private investors, the second largest company in the Americas by market value, surpassed only by Exxon Mobil which has a market value of around US$290 billion. The purchase came after a US$67.9 billion share offer, the largest in world history, was made at the Sao Paulo Stock Exchange (BOVESPA). The offer also saw the Sao Paulo Stock Exchange become the second biggest in the world by market capitalisation, behind only Hong Kong, with BOVESPA now worth more than the value of the London Stock Exchange, the New York Stock Exchange and the Nasdaq combined. The Rio de Janeiro-based company plans to invest heavily in offshore drilling, with oil reserves found off the Brazilian coast thought to constitute the largest field discovery in the past 30 years. 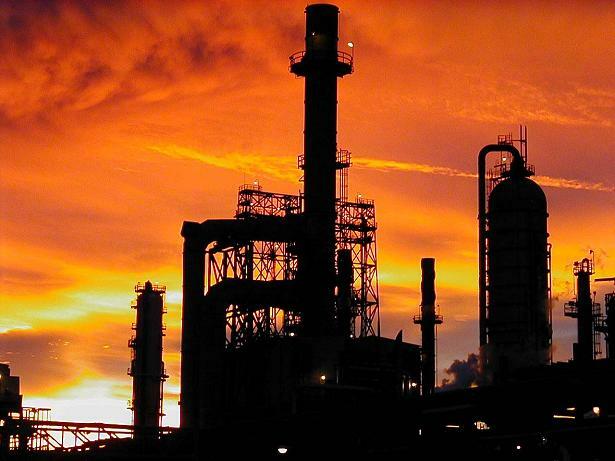 Petrobras announced plans to make investments of US$224 billion in order to double its output of crude oil to 3.9 million barrels per day by 2014. This would make Brazil, which is not a member of the Organization of the Petroleum Exporting Countries (OPEC), the fifth largest producer of oil in the world and would place the South American nation among the globe’s 10 largest exporters. OPEC extended an invitation to join the conglomerate to President Lula da Silva’s government in September of 2008 after the discovery of offshore reserves thought to contain over between 30 and 100 billion barrels of oil was announced, however the offer was rejected. OPEC nations collectively produce over 40% of the world’s oil, and analysts are divided on whether or not Brazil will eventually join the cartel, noting that the quotas on oil production imposed by the group could hamper the country’s economic growth, which at present is contingent on unfettered access to ever-increasing quantities of crude. Considerable natural gas reserves have also been discovered in numerous offshore locations. The share offer was presided over by outgoing president Lula, with Brazilian elections scheduled to take place in a week’s time. The president will leave office with a popular approval rating of around 80% according to a recent survey, with the candidate he is backing and election favourite, Dilma Rousseff, who is bidding to become Brazil’s first female president , considerably less popular among Brazilian voters according to opinion polls. Dilma defended the use of Police Pacification Units which have been built to occupy and establish police control in some of Rio de Janeiro’s favelas on a visit to the city, saying that the policy had increased property prices and brought “security” to the communities in which police units have been installed – in spite of vocal opposition from many quarters. She also criticised her rival candidates for introducing “hatred” into the campaign, saying she would not stoop to their level. 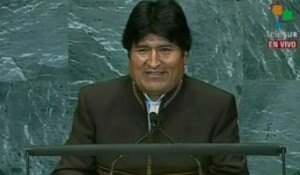 Bolivian President Evo Morales used the UN Generally Assembly at the organisation’s New York headquarters on Thursday to suggest that his United States counterpart Barack Obama should lift economic blockades against Cuba and the Gaza Strip. The Cuban blockade has endured since 1962, and was imposed on the island following the decision by Fidel Castro’s government to nationalise all foreign-owned business following the 1959 revolution. Barack Obama renewed the embargo for one more year in September under the U.S. Trading With the Enemy Act, saying the move was “in the national interest of the United States”. Morales affirmed that “it is not possible that the economic blockade against Cuba is still in place in the 21st century “, adding that Cuba had been punished for being a “communist, socialist country”, and saying that “ending this injustice is in the hands of the United States”. The Bolivian president went on to criticise the policy of building walls to stop people from migrating from one country to another, saying that “it shouldn’t be that in the 21st century immigrants are persecuted and expelled because of economic problems”. Morales praised Obama’s government for not permitting the enactment of a law in the U.S. state of Arizona that would have forced people suspected of being an illegal immigrant to submit to identity checks when stopped by police. The law was widely criticised as dependent on racial profiling and unconstitutional, and was blocked at federal level. He criticised European countries for policies which have been targeted at immigrants, saying it was a shame they hadn’t followed suit. Morales compared the wall constructed in Palestine and the wall being constructed along sections of the U.S.-Mexico border to pens used to contain livestock, and opined that “we might start confusing human beings with animals, we can’t understand ourselves”. The president demanded “this wall has to disappear”, calling on the United Nations to put pressure on the Israeli government, saying that the UN should “resolve the problems of the most defenceless”. The president also said that efforts must be made to democratise the United Nations, calling for an end to “authoritarianism”, and criticising the fact that “permanent delegates have a veto” over resolutions voted on in both the General Assembly and Security Council. 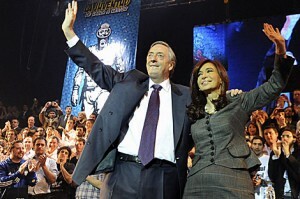 The Argentine president and her husband, former president Nestor Kirchner, admitted for the first time this weekend that criminality is on the rise in Argentina, with a report issued by the country’s Justice and Security Ministry displaying a 25% increase in crime in Buenos Aires Province, home to around half of Argentina’s 40 million people. An average 7% increase in reported crime was recorded in the rest of the country, with the figures referring to the year 2008. It is feared that the statistics for 2009 could be even worse, with unemployment and entrenched social disenfranchisement serious problems in a nation plagued by economic imbalance. Worsening figures were recorded in virtually all fields of crime, with violent attacks rising along with thefts and kidnappings. The report noted a significant and alarming rise in the number of assaults on bank customers leaving branches with large quantities of cash, with an average of one such incident recorded every day in the country. President Kirchner commented that despite the increase in crime figures, Argentina’s economy has grown year on year for eight consecutive years. This follows the economic collapse which hit the country at the start of the last decade, ultimately forcing the government to default on foreign debt of around US$100 billion in 2001 and to stop following an IMF austerity programme which had slashed public spending and left thousands of people lacking basic services. Successive governments have sought to repay foreign creditors left out of pocket by the debt default, with public services suffering as a result. The acknowledgement on the part of the government that crime statistics were deteriorating flew in the face of comments made just four days earlier by Security and Justice Minister Julio Alak, who had said that a 37% fall in crime had been recorded since Nestor Kirchner took office in 2003. “We cut the increase in crime with policies that stopped following the Washington Consensus and the idea of the absent state”, Alak had told Congress. 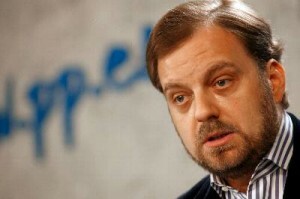 Buenos Aires commissioner Juan Carlos Paggi also told the press that “crime has gone down, but we don’t know why violence has increased”. This Saturday protests organised by the association Victims’ Family Members were held at cities throughout the country under the banner “Enough killing, enough violence, justice for all”. Venezuela: Spanish Member of Parliament Gustavo de Aristegui of the opposition Popular Party caused a stir in Venezuela when he publicly lamented the “regression” of personal liberties under the rule of President Hugo Chavez, ahead of parliamentary elections which took place on Sunday. The president of Venezuela’s National Elections Council accused de Aristegui of “meddling in the affairs of another country” and called his comments “unacceptable”. 150 foreign observers were on hand to monitor Sunday’s elections, widely viewed as a verdict on Chavez’s 11-and-a-half-year presidency, with results due to be announced shortly. Voter turnout was reportedly high, with many polling stations remaining open late into the night to accommodate large queues of people. 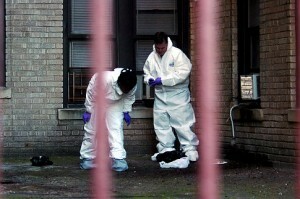 Nicaragua: A member of the Nicaraguan delegation at the United Nations was found stabbed to death at his New York apartment on Thursday morning. César Antonio Mercado Pavón, 34, had been due to attend a meeting of the United Nations General Assembly where Nicaraguan President and consistent critic of the United States, Daniel Ortega, was due to speak. The diplomat, who was described as quiet and mild-mannered by neighbours was found at around 10:30 am by his driver, lying in a pool of blood at his Bronx apartment. He apparently died from wounds sustained to the throat and inflicted with a steak knife, however police said there was no apparent motive for the murder and there was no sign of robbery at his home. Mexico: Several mayors of cities with significant levels of violence linked to cartel activity have relocated to the United States after reportedly being threatened with murder. Numerous city officials from the northern border states of Chihuahua, Tamaulipas and Nuevo Leon have opted to permanently base themselves in the U.S. and conduct their roles via telephone, while others have begun commuting back and forth over the border due to safety concerns in one of the planet’s most volatile regions. 10 sitting mayors have been assassinated so far this year in Mexico, many from cities close to the border which offer dominance over key trade routes to cartels who can take control of them. On Thursday the fourth Mexican mayor this month was murdered when Prisciliano Rodríguez Salinas, mayor of Doctor Gonzalez near Monterrey in the state of Nuevo Leon was gunned down having been accosted by an armed gang as he drove to his home. 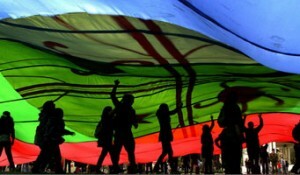 Chile: The government has announced it will meet for a second time with members of the Mapuche indigenous group demanding the end to a Pinochet-era anti-terror law which has been used to persecute members of the ethnic group. 35 Mapuche prisoners have been on hunger strike for 77 days in Chile, demanding recognition of rights from President Sebastian Piñera. The meeting will take place in the southern city of Concepción, with local Catholic archbishop Ricardo Ezzati set to mediate the encounter. Chilean Interior Minister Rodrigo Hinzpeter said that his government had “offered all the options available so that the Mapuche desist with the hunger strike, unfortunately it hasn’t been possible”. Community spokeswoman María Tralcal denounced the proposed dialogue as a superficial effort on behalf of the president to “clean up his international image”. She said that discussion had been demanded by the protesters from the start of the strike. The Antiterrorist Law allows the state to detain suspects without trial, and cases brought under it often result in sentences three times the length of terms given for other, similar crimes. Paraguay: The government has called on its Argentine counterpart to resolve a dispute involving the digging of a canal by Buenos Aires on the River Pilcomayo, which separates the two countries. Paraguayan officials have raised concerns that the kilometre-long canal, opened last weekend, which is intended to increase the flow of water into Argentina’s territory, will divert the flow away from Paraguay’s Chaco wetland region. 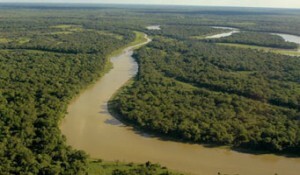 A Pilcomayo Binational Commission consisting of representatives from both governments met on Friday to begin to address the issue, with Paraguay’s Minister of Economic Relations and Integration, Manuel Caceres, demanding that the canal be closed immediately, decrying the fact that it Buenos Aires had opened it “unilaterally”, without consulting Asunción. El Salvador: The country’s Supreme Court of Justice ruled this week that journalists and media directors can be tried for libel, slander and defamation in a move interpreted by some as a blow to freedom of expression in the Central American nation. The Court voted 4 to 1 to enact laws enabling the prosecution of the owners of media outlets and their employees for the above offences, with several newspapers in the country calling the decision a “blow to freedom of expression”. Editor’s Note: The recent developments in Ecuador will be the subject of Tom Kavanagh’s next dispatch, published on Monday 4th Oct 2010. « Previous: CounterSpin – Unnatural Selection: It’s only news when we say it is.